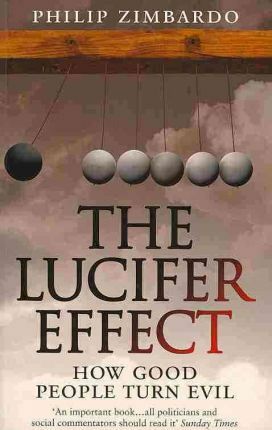 This book, The Lucifer Effect, contains a thorough analysis of how systems and situations can make decent people perform evil actions. It also has some ideas as to how we can learn to resist situational, social and systemic pressures and do the right thing in spite of huge levels of personal discomfort. This work can also be found at the Lucifer Effect website at Resisting Influence. I would like to add two final general recommendations. First, be discouraged from venal sins and small transgressions, such as cheating, lying, gossiping, spreading rumours, lauging at racist or sexist jokes, teasing, and bullying. They can become stepping stones to more serious falls from grace. They serve as mini-facilitators for thinking and acting destructively against your fellow creatures. Second, moderate your in-group biases. That means accepting that your group is special but at the same time respecting the diversity that other groups offer. Fully appreciate the wonder of human variety and its variability. Assuming such a perspective will help to reduce group biases that lead to denigrating others, to prejudice and stereotyping, and to the evils of dehumanisation. My developer is trying to convince me to move to .net from PHP. I have always disliked the idea because of the expenses. But he’s trying none the less. I’ve been using WordPress on numerous websites for about a year and am concerned about switching to another platform. I have heard fantastic things about blogengine.net. Is there a way I can transfer all my wordpress content into it? Any help would be greatly appreciated! I’m afraid I’m not tech savvy enough to advise. Hopefully another reader will pick up on this.